The market for environmentally sound building materials is changing. If you think bamboo can just be used to grow beans up in your garden, think again. Pandas aren’t the only animals that like bamboo – builders are making it popular too, as an alternative to hardwood panels. This is because the panels offer superior quality, they’re easy to install and have very low toxicity because they don’t use much glue. Because bamboo is easy to grow, and fast-growing; this makes it cheaper. It’s been used in construction since ancient times and is a renewable, sustainable resource, with mechanical properties similar to those of wood, but with a growth rate five times faster. The provision of data for mechanical and thermal properties and about the manufacture of structural bamboo products is improving but around the world there remains a lack of appropriate building codes. Work is ongoing in Cambridge and British Columbia to develop a code of practice for structural design and building construction with structural bamboo products. Thermally modified wood is another product gaining in popularity, again because of its greater longevity than traditional products. It resists microorganisms, has a longer life and does not shrink, making it more suitable for humid climates. The same is true of acetylated and polymer modified timber. Both improve the mechanical properties of fast growing softwoods so that structural timber products made from them can be used as structural elements, to create more environmentally friendly buildings. Kebony – one product – is increasingly popular as a direct replacement for tropical hardwood or toxic preservative-treated wood. Acetylation has similar high-durability results by adding the chemical acetic anhydride to softwood which reduces the wood’s ability to take in or release water, therefore reducing the possibility of swelling and shrinking. 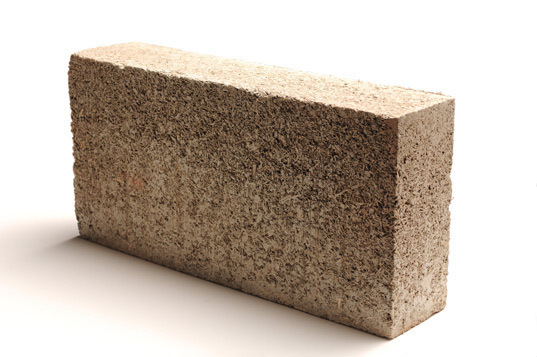 While not yet hitting the mainstream, hempcrete and ashcrete are also becoming more commonly used, at least in Europe and North America, driven by environmental legislation governing emissions from buildings and recycling. Hempcrete is approximately carbon neutral, being a mixture of hemp fibres (which contain atmospheric carbon) and lime. Ashcrete is lime mixed with waste fly ash from furnaces. The fibres and fly ash contribute structural strength, while the lime offers plasticity. When mixed up with water lime begins to absorb carbon dioxide from the air. Both can be used in many situations (except highly load-bearing ones) instead of concrete and have insulating properties. The resultant building will have a much lower embodied carbon footprint. In the Asia Pacific region there is less legislation driving this process, and so timber, concrete and steel dominate the market. There is also a rising awareness of and therefore a demand for the use of recycled building materials by contractors. Building waste, particularly aggregates, is a massive problem: what to do with the debris left over from the demolished building or highway or surplus construction materials. The European Commission records that construction and demolition waste forms almost 25%-30% of all waste generated in the EU. Over in the United States around 548 million tons of construction and demolition debris were produced in 2015. Surely, selling it to the contractor so that it can have a second life is a win-win solution, but it’s one that is not necessarily available everywhere in the world as yet. However, this is changing. A recent survey shows that the recycled aggregates market is still fragmented across the world, largely dependent upon local levels of enthusiasm and the variation of environmental legislation in different regions. The most popular recycled materials are asphalt pavement debris, followed by crushed stone, cement and concrete, and sand and gravel. The US, Netherlands, and Germany in particular are making huge efforts to promote the recycling and reuse of this waste with new standards being introduced for the deployment of it in projects such as drainage, buildings and roads. Recycling construction aggregates involves removing and crushing existing aggregates into the materials of specific size and quality. Crushed stones are particularly popular due to their cost-efficiency. It’s the use of standards that can really help to develop a market for these products as it gives confidence to building contractors about the quality of these products. The opportunity for growth is greatest actually in the Asia Pacific region where is expected to double over the next eight years and have the highest market value, according to the above report from Fact.MR. Growth will also be high in Latin America and North America. Of all regions it is Japan that is lagging behind, as well as China, Africa, and India. 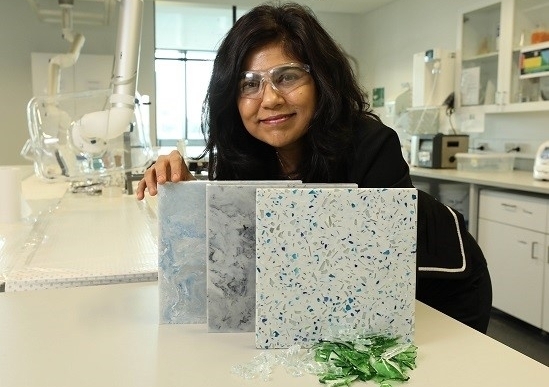 UNSW’s Professor Veena Sahajwalla is leading a team Reforming old clothing and mixed waste glass into various high-quality building products represents a new way to convert low-value waste into high-value products and materials. However, India and China are expected to be the largest producers and consumers of recycled construction aggregates in the Asia-Pacific region in the near future. In Australia, very little has been done since the government produced a report alongside its National Waste Policy in 2011. Recycling remains patchy across the continent. It remains for local groups like Hobart’s Resource Worker Cooperative’s Urban Salvage Program in Tasmania to fill the gaps. Given the concern about plastics ending up in all the wrong places, particularly our oceans, it’s not surprising that new building materials are emerging that contain recycled plastic. Construction is the second largest use of plastic after packaging, at least in the UK, consuming 23 per cent of all plastic, making the potential for using recycled plastic considerable, according to WRAP, the UK’s leading resource efficiency company. Again, standards that guarantee quality are going to be key to their success in the marketplace. Plastic bottles, bags and wrapping film, polystyrene, PVC from windows and industrial products, can all be turned into new products. The product range includes damp-proofing membranes, sustainable drainage products, kerbstones, wall cladding, moving materials, scaffolding planks, decking, fencing, street furniture and used for piling and stabilising the ground. Because of plastic’s obvious longevity (that’s why we’re worried about it being in the sea), it can produce durable products, but also ones which do not require treating painting and only need minimal maintenance, making them cost effective over their life. The best way to build the market is for a client and their team to set the policy requiring recycled and eco-efficient materials, and discuss with the contractor the specific options for their project. Specifying products with higher recycled content is a simple and cost-effective way to meet sustainability targets. Great article. My current concern about Australian wide standards or the development of a rigid specification, (from an expert in the recycled concrete supply chain’s perspective). Is that these specifications should be “outcome based”. With no rigid, expensive testing or enforced auditing compliance requirements, which aren’t also shared by their virgin material competitors in the open market place. I’ve seen the risk of market failure in recycled material supply chains, due to a number of reasons… most of these are government caused, based on risk adverse policies & a lack of understanding of what actually represents environmental harm. I’ve seen specifications asking for a 90% concrete materials with a typical >11pH. I’ve seen requirements for Hydrocarbon testing suites on recycled road base specifications for materials that once placed insitu, are then covered in sealers and Hydrocarbon road surfaces in standard civil construction practices. I’ve seen a requirement for the testing of outbound recycled class one inert waste material, that was inspected & accepted in the gate at a licenced and government compliance recycling facility. Have to provide expensive testing to prove that their recycled material isn’t going to contaminate the land’s legal deed ownership. To such stringent levels of testing as those contained in the Contaminated Sites Act. One recent set of compliance testing introduced into the Environmental Protection Regulations in WA. Wouldn’t even allow virgin soil that has had rain water pass through it, make the specification on its environmental testing requirements for Uncontaminated fill. Recently the auditing, testing and compliance requirements of a perfectly viable recycled material supply chain…that is already being sold to market under a government licenced recycling facilities, under a local government approved specification, with reasonable testing criteria. Had its price increased so much… by the state government’s trial standards and compliance documentation, all this to increase market acceptance of a product we already can’t make fast enough to sell it all….as to make it uneconomically viable to compete against virgin basic raw materials. Even if mandated by procurement professionals, its use will be limited to reduce its cost, as virgin materials are quarried cheaper, digging up holes in our fauna and flora, that have little use as anything else, other than landfills or Human made lakes for our future generations use. The ‘Green School’ in Bali is a fine example of the use of bamboo for its structural & building applications. Built by local artisans & now appreciated by leading global & environmental figures. 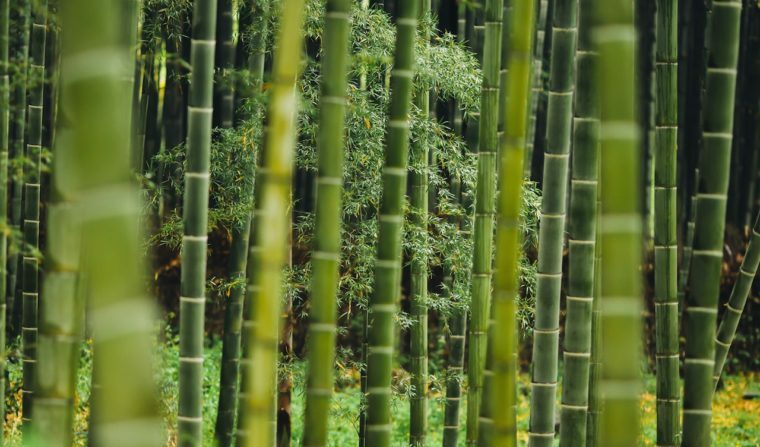 Bamboo is classified as grass & is commonly used as scaffolding in Asia, making it much quieter & more environmentally friendly than metal on building sites.